The Format: 300 point Sealed with two boosters of War of the Light. No outside anything, except the judge let us include the green ring and shield construct from the scenario pack. I didn’t have those. This is what the Oans really looked like before they evolved into the Guardians. They don’t like to talk about it. I considered strongly doing an all blue team (WOL011B Hal Jordan (Blue Lantern), WOL029 Brother Hymn, WOL045 Brother Warth), but that wouldn’t give me a good attacker or let me use my yellow ring as effectively. I also considered a yellow team (WOL013A Romat-Ru, WOL019 Bedovian, WOL021 Lyssa Drak), but I didn’t think Lyssa Drak was very effective. In the end I went with WOL019 Bedovian, WOL047 Ganthet, and WOLR305 Sinestro Corps Ring for a total of 294 points. 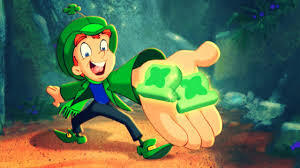 Note to self – Do not take this guy on with a Smurf and a Rock. What? Did someone bring a nationals team to a sealed event? What soulless monster would even play these pieces together having pulled them? Oh yeah, it’s my writing partner HypeFox. The game starts out with me winning the roll to go first. That was about the only good thing from this game. I notice both sides of the map have tons of elevated to hide behind. I pick the side that doesn’t have all the elevated around one starting area. I’m already underpowered this game I don’t need to also go uphill. I start out moving up with Bedovian out front to block Line of Fire to Ganthet.. We close on each other in the next few moves. At that point I realize he has hypersonic speed and I have no movement abilities at all. I’m not about to base him just to have him punch me and run away. I perplex up my defense and sit there. He places Brother Hymn to use perplex and prob. Superboy Prime makes a close combat attack and rolls a 4 for a miss. Unfortunately Superboy Prime makes it to elevated terrain while I am grounded. I have no shot at him. I could push Bedovian to take a pot shot at Brother hymn, but I figured the game would be won or lost based on knocking Superboy Prime off his hypersonic clicks. I have a token on both my characters on my turn so I just sit and clear. 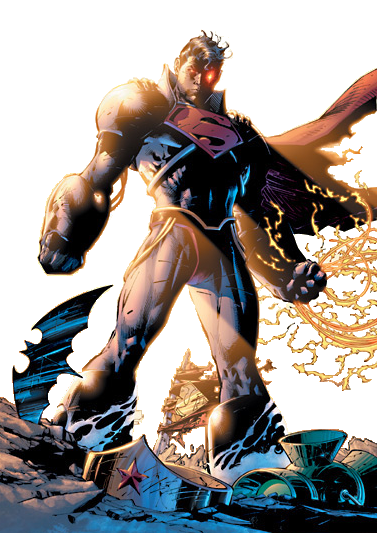 He (thankfully) gives Superboy Prime a second action token and give him an action to hit Bedovian with a heavy object. Hit for 5 damage (EDITOR’S NOTE: You’re welcome?). Brother Hymn shoots Bedovian and misses. Now I actually have a chance to hit back. I base Superboy Prime with both my characters. He clears his characters on his turn. I get to make an attack! I start by having Ganthet hit with his special incapacitate. 4 damage and a token. That got rid of the Hypersonic Speed on his dial! Then he points out that Ophidian picks up Hypersonic Speed on click 4, and with Ophidian Possessing Superboy, nothing really has changed. Bedovian pushes and misses. I give both characters a second token and then I read the new powers Superboy Prime has. Exploit weakness and penetrating poison. I have both my characters double tokened and adjacent to him. You can guess how the rest of this goes. Bedovian dies in two turns before he can take another action. Ganthet gets poisoned to his third click and takes a damage from Brother Hymn before he can take an action. At that point he has Pulse wave and running shot. I try to break away so that I can use pulse wave for max damage on just Superboy Prime. I roll a 1. Ganthet is KOed by prime the following turn. A bye (we had 9 people). But hey this ended up being my best game of the night. During this time I watch Hypefox playing a team featuring Swamp Thing. He missed a good opportunity to use barrier to prevent Prime from getting hit. I hope he loses. He doesn’t, but I had hoped he did. This was a brand new player. I mean new as in brand new that day! He was a Green Lantern fan and wanted to find out what HeroClix was. WOL059A Zilius Zox faced off against Ganthet pretty much one on one. It did not go well for Ganthet thanks to his old friend penetrating poison. 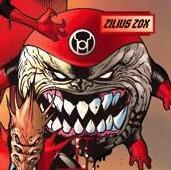 Bedovian finished off Zilius Zox from range, but faired poorly after that because the two remaining Sinestro corps members could perplex his printed damage down to zero. WOL021 Lyssa Drak doesn’t really seem to do that much (zero range), but it didn’t really matter. In the end the help I gave the new player gave him his second win ever. I wasn’t about to do anything good this tournament, so that was the best possible outcome. HypeFox has a soul as black as midnight (EDITOR’S NOTE: How many tourney wins against you in a row is that now? Man, I’ve lost count…). The entities like Ophidian are the real deal when possessing a character. Expect them to be mainstays at every major tournament until they are retired. WOL021 Lyssa Drak is not worth the points. If you are one of those players who just has to field an aloof, half-naked blue-skinned psychic vampire, well, y’know, then go for it. Just don’t expect her to do much except stand there half-naked and occasionally show her casual disdain for everyone else by Perplex figure’s stats down. That’s about all she does. WOL047 Ganthet needs to be played with care. His “Perplex the whole team” power is cool, but at his point cost he pretty much is most of the team. He would do much better with TK or a hammer. If I had a chance to get a WOL059A Zilius Zox I would definitely do so in the future. Nasty lil’ big-headed bugger. I would say WOL057B Superboy Prime (Red Lantern) is above average in constructed, but top notch in this sealed environment. Half the defense powers in this set are Energy Shield, so a close combat attacker with Hypersonic does really well here.